If you're looking for a "anything goes, all inclusive, regardless of scripture" sort of venue, you should see my previous post. I don't usually comment on news items but, being a Houston gal myself, I struggle and am greatly annoyed with this guy. First of all, his religion is himself (it's HIS church if you read the name on the building - don't see Jesus name anywhere on there.) And now he says GOD wants him to be prosperous?? His lavish lifestyle, his limo trip after services to take his family to the Hannah Montana concert in Houston (which was a whole 'nuther flap due to supposedly few fans getting tickets and the majority going to select people), his wife's rudeness to airline staff on a recent flight...how can this POSSIBLY equate to the humble servant who gives up all to spread the gospel told over and over and over again in the New Testament?? AND, on his "tours", you PAY a ticket fee $25-30 I see) to hear him! The audacity blows my mind. Methinks we don't know the same Jesus. Big Mama typically does a "Fashion Friday" post during the school year. 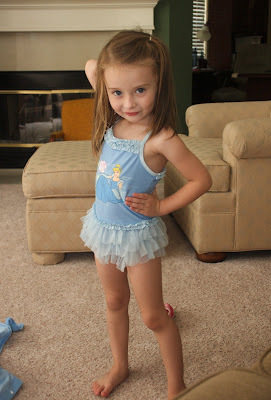 Now, I'm not gonna steal her thunder mainly because I have no one asking me for any fashion advice. In fact, I'm a walking testament to folks who never take any (fashion advice that is). Now, I can decorate a room in nothing flat, help you with your color choices and coordination, find a lamp at Neiman's Last Call that will keep your party conversation going indefinitely and find Ethan Allen furniture at 50 cents on the dollar. I'm totally into home fashion and design and truthfully (and modestly) proclaim I am GOOD at it. And jewelry. Don't forget jewelry. The way I figure it is, if you have the right ring, bracelet, earring and watch combination, who's going to notice what you're WEARING? That's my story and I'm stickin' with it. My good friends Tiffany, David Yurman and John Hardy totally agree. But personal fashion? NAH! I'm a poster child for Omar the Tent-Maker. If it fits, I wear it. And usually order about 5-6 of them in different colors. Hey, I want to be prepared. You never know when Omar is going to kick the bucket - and word on the street is his son jumped ship to work in modular housing. 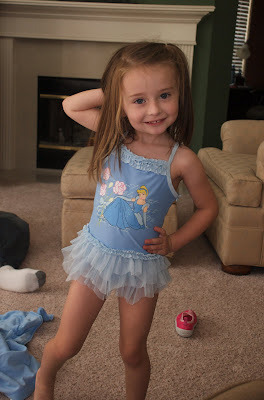 However, I do have the scoop on what this year's Princess is wearing for summer. Because being a Princess can be really hard work. All that pressure. Folks constantly scrutinizing you and your wardrobe. Grandparents CONSTANTLY taking your photo. I'm sure it's a nightmare. Being a Fashion Icon is a tough row to hoe, Blogmeisters. At least that's what I hear because I have no personal experience. Our model is a lovely young "up and coming" we'll call "Kennedy". Kennedy is a lady of impeccable taste and earnestly studies the trends. Looking for a new direction after having spent the past few months in her "Ariel" phase, she has made a bold and unforeseen change with a nod to none other than "Aurora". Evidence of this metamorphosis was seen this past weekend as she prepared for a typical summer poolside party with friends. Note that not only has she created a new silhouette to her swimsuit with the addition of a triple layer of tulle (a nod to the popular "petti-skirts" of this past year), she has added a matching hooded coat to compliment her ensemble as well as a pair of two-toned pink slip-ons. Casual hairstyling says, "I'm relaxed. I'm confident. I know who I am and comfortable in my skin. People LIKE me." Also note the absence of cosmetics. Again, a very confident message. And of course, what ensemble could possibly complete without the perfect footwear! For the luxury of having choice, Kennedy displays a fun yet functional pair of aqua-shoes in a deeper shade of blue creating interesting contrast with the pale blue of the swimsuit and coat. Pink during the day says "playful and casual" while the darker blue transitions into the evening and more formal occasions. I'm sure you join me in anticipation of what Kennedy will come up with next! I'll keep you posted! We had a thunderstorm the other day. Well, in Houston, we've had mid-afternoon thunderstorms almost everyday. Houston is the new Orlando. This particular storm was different in that black clouds moved in very quickly. Then tremendous thunder and lightening began. And all this developed within a matter of about 20 minutes. I was on my way home from what I assume must have been some super important errand (perhaps saving the world or de-worming orphans - I forget) when I noticed the "black horizon" and sped home hoping to beat the storm. Not because I didn't want to drive in the rain. Not because I feared flooding in the streets. Not because I was concerned about the possibility of tornadoes. No, I had to get home because I have two dogs who will NOT, under any circumstances, go out into the rain to pee. And my Persian carpet in the dining room becomes the "Royal Throne". So basically I'm risking life and limb all for a carpet that was probably made by children in some remote poverty stricken region for less than 10 cents an hour. Never let it be said I don't support good causes. I get home, rush into the house, throw keys and purse onto the counter and get the dogs from Camp Guantanamo - aka "the pool bath". I know Shelby views it this way because, before the young upstart, otherwise known as Izzie, arrived, she had free reign of the house. Once I left the house, I'm sure she would fluff the pillows on the couch and get comfy. She would bark at the UPS man when he delivered yet another order from Amazon or Woot.com. And I'm convinced she knows how to turn on the TV, work the remote, play Nintendo and microwave nachos. She's a very smart dog. Don't ever let her fool you. Then we got Izzie. The one who started the "let's pee on Mom's Persian in the dining room - it'll be fun!" campaign. Which resulted in banishment when I left the house. I'm certain Shelby is plotting revenge - any day now I'm going to find Izzie strung up in the shower with a forged suicide note lying nearby, Shelby looking appropriately mournful yet triumphant. Back to the storm de jour, I get the dogs and basically push them out the backdoor. No rain yet but thunder abounds. I go get my groceries and other shopping I must have done after yet another "saving the world" day. Hey, I do my part to keep the economy afloat. It's a sacrifice but I do what I can. I start putting things away keeping an eye on the back door for the sight of two little schnauzer heads looking in with pleading "LET ME IN!" eyes. Nothing. Curious, I look outside trying to figure out where the "little darlings" are. I see Izzie out in the grass completely unperturbed by the impending doom via weather. No Shelby. I go to another window - nada. After checking several windows, I go to the pool bath and look out the door window which overlooks the outdoor kitchen and patio. That's when I see Miss Bold. Miss Shelby...in all her brave glory. 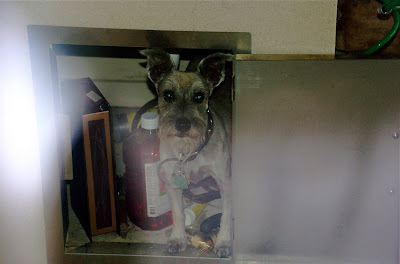 Somehow she managed to nose open the door under the sink next to the grill hiding - nay - COWERING - in the cabinet! Of course, when I attempted to take this (awful I admit) photo of her through the window, she saw me and gave me a withering look which said, "My life is about to END, I've taken shelter since obviously YOU don't care about me and all you can do is TAKE MY PHOTO FOR YOUR STUPID BLOG????" Shelby's never been one to hold a grudge against me. All her energy is typically spent on keeping Izzie in her place. Which in her opinion is anywhere but inside this particular house. Let's just say things have been a little testy between us lately. My uncle sent me this and I just have to laugh when I watch it! Human children aren't the only ones who enjoy a sprinkler on a hot summer day! 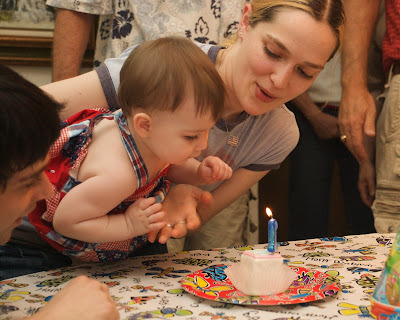 We celebrated Mirai's first birthday a couple of days later that the actual day (July 2nd) when the family was in town for the July 4th celebration. I just now got the photos edited, selected and uploaded to the online gallery. 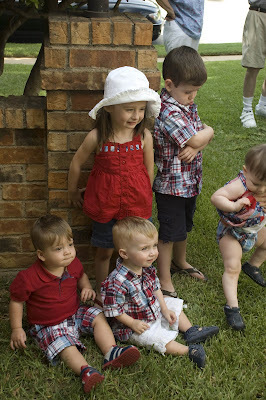 We tried to get a photo of all five grands in their festive red, white and blue attire especially selected and bought at Gymboree, but to say we had limited success is a severe understatement. But that's okay - the important thing was getting together to share in the fun of Mirai's first birthday! For those of you who use Macs, if you haven't heard about Cooliris, now's your chance! I use Firefox for my browser instead of Safari. Whenever it updates, there are lists of new (FREE!) software (they call them "add-ons") I can download to use as well. One of the most convenient ones I've come across is Cooliris. It's a program that let's you "hover" your cursor over a link and then shows a little blue box nearby that you can also "hover" over which in turn opens a window to preview the link destination. VERY time saving when doing searches to see if it's the information you really want without having to do all that back and forth with your web pages. "Cooliris Previews gives you the power to browse and share Web links and rich media faster. Just mouse over any link, and the Cooliris preview window immediately appears to show you the content. To email it, just click." Just a free tip for the day! Ya gotta try it, you'll like it! 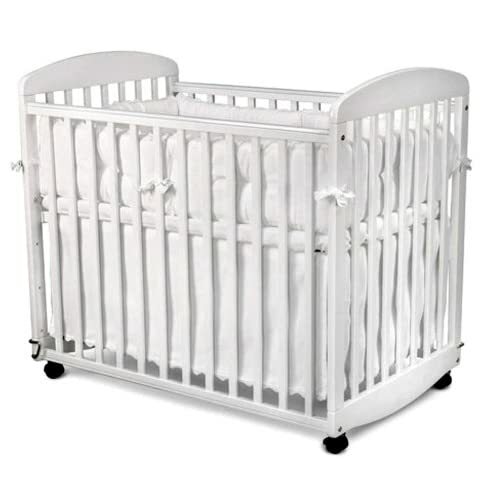 Last week I sold the two cribs from the nursery. I had bought the first one before Ben and Kennedy were born and we were in Surrey. After we'd moved back to the London area, we often went to see movies in Staines and right next door to "the cinema" was the most enticing shop - Mamas & Papas. The windows were full of Perego "pushchairs" and the cutest baby furniture. They also sold toys, gorgeous maternity wear (usually "gorgeous" and "maternity" can't be in the same sentence but they can if it's Mamas & Papas!) I always said that whenever one of the kids started reproducing, I was going to wreck the budget in that store. Sure enough, Jen called late January 2004 to tell us they were pregnant. I think I was in Staines within a week at Mamas & Papas. I started plotting and figuring out what I was going to buy for my "Grandma Nursery". Anyway, in the midst of all this pregnancy fun, I did get my "Grandma Nursery" furnished. I bought this lovely "cot" (cribs in the US are what we'd call a cradle...). And I bought a bedding set (or two...) as well as other fun decor items. I was "nesting" as my children were "nesting". We were SO far away it seemed. Never did the Atlantic seem so wide. I would find maternity things for the girls and send them with Mike on his business trips to Houston. He'd always make a trek to Austin or DFW if a visit with children was in the offing! I spent most of that summer and autumn in Texas, attending baby showers, helping get their nurseries set up, shopping for baby clothing in fun little boutiques, dreaming, laughing, planning...(and hemorrhaging money). There's nothing like the news that you are going to be grandparents - and nothing like finding out you're going to have the pleasure twice within a couple of weeks! The babies finally arrived and we were in bliss. Mike was in and out of the country as much as he could for each of the births. To say "good times, good times" is an understatement. It was truly blissful. When we made the decision to "retire" from BP and return to the US (not in a small part because we could NOT be overseas with those little ones in Texas, so far away), I made the jaunt back to Staines to Mamas & Papas and bought another cot to match the first one. The house we were building in Katy was going to have a nursery - and the chance of having BOTH children "in residence" at the same time was almost guaranteed! Sure enough, within a few months, Tim and Megan went on a vacation alone and we had Kennedy for almost an entire week! Jennifer and Ben came too and we had a blast! Ben and Kennedy were about 19-20 months old then, jabbering away, running everywhere, into everything. They loved "their beds" and would try to climb into them after story each night. There were many other visits, some with everybody, some individual families. But the room was used a lot and when they departed, I could go up there, sit and remember, relive the visit. The next batch of grands arrived like the first batch - very close together. Late April, late May and early July 2007 saw three more grands making their Grand Entrance. I bought twin beds for Ben and Kennedy in the nursery alongside the two cots. Unfortunately, babies and toddlers seldom mix in the same room - one will wake the other up. Make that 2 toddlers and 3 infants and you have mayhem. And my lovely English cots were too big for the other bedrooms. So those babies ended up sleeping in pack-n-plays in their parent's rooms while Ben and Kennedy had the nursery. So I made a decision this month that I should sell the cots. The nursery was more than full with the two twins and the two cots, a glider and ottoman, a bookcase and toy box. And they were all in white. Frankly, it was starting to look like a nice but still institutionalized infirmary! So I called a friend who had just had twin grandsons and made her the "deal of the century". She took me up on it right away and they came and disassembled the cots and took them away last week. I had NO idea how emotional that was going to be for me. I suspect I had transferred my emotions about the joy of becoming a grandparent onto those inanimate objects. And the memories of the visits of the children sleeping in those beds came rushing back to me. But I knew that the last three wouldn't be in cribs much longer anyway, we needed a workable sleeping arrangement and soon there would be the need for twin beds in there anyway. So I've now ordered this for the nursery. It's a daybed and will have a drawer with a trundle mattress hidden away that will go underneath. My plan is to get a cozy quilt for the top and have lots of plump pillows around to make it into a large couch where we will sit with grandchildren all piled on for story time, tickles and conversations. So my dreaming about "the next phase" has begun. Plus the new bed won't take up as much floorspace in the nursery as the two cots did. And until those wee ones are completely out of their cribs, I got this (which can roll through doorways without having to disassemble/reassemble each time). Between that and a really large pack-n-play I got from Mamas & Papas (seriously, WHY can't they sell this stuff in the US of A?? it's WAY longer than the American counterparts...possibly the ONLY thing that is larger in the UK that the US...), I think I have my baby sleeping bases covered - elegantly too I might add. The nursery was originally a Media Room (hence the outlet covers where speakers supposedly were to have been...and still might be, someday in the VERY distant future...) but we the builder put a window in and make the original "concession" area into a large closet. The game room adjacent is the play room so the kids have their own "children's wing". Someday I want to have the play room redone in black, yellow and white on a Mickey Mouse theme being the Disneyphiles that we all are. I have these cool figures (called Big Figures) I got at Walt Disney World that I want to base the room color and design on (about 21-24" high each). There are 5 figures - the "fab five" (Mickey, Minnie, Goofy, Donald and Pluto) - and I think it would be so fun to have an entire room designed around them - contemporary, functional and most of all - FUN! But until then, we will stick with our fresh white furniture colors, with Winnie-the-Pooh Stieff animals and Shepherd Pooh sketches framed on the wall. I'll do a blog about the current nursery sometime soon with photos. I think rooms can be beautiful AND functional for children. And I know the kids love "their room". But I am still missing the baby beds...or am I missing them being babies? Who knows. With estrogen it's hard to get a concise answer...so here's to "moving on". Tim sent me this link and you can't watch it and not want to join in! I'm looking at his website (guy named Matt, not Tim's...) to get the story on it and it's pretty fascinating - good music too! So for a little "happy feet, happy heart" moment, check it out and see if it doesn't just make you smile! I'm a mess, oh yes I am! We got home Sunday night from Keller. From a week up north. From two weeks of some combination of ALL of all five grandchildren. 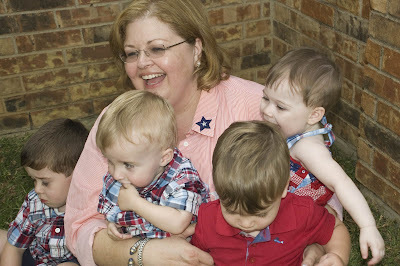 From having children and grandchildren in our homes both in Katy and Keller. From early morning risings and late evenings. From playing Wii and laughing till I barely made it to the bathroom. From eating too much. From kissing babies. From playing with preschoolers. From burying plastic bugs in the sand table so children would find TREASURE! From the last 1st birthday party in the foreseeable future. From watching two movies in one day with my lovely husband. From meeting up with friends we've known for over 20 years, who's kids are our kid's age, who have also kept up with each other and their children. So I'm a mess. You see, I love doing those things. I want to do them more. I don't want them to end. And now I go around the house, finding pacifiers under the kitchen table. Fingerprints and tiny hand prints on the stainless steel fridge doors. Thomas the Tank Engine trains under the couch. Bibs over chairs. Sippy cups in obscure places. And laundry - tons of laundry. Sheets from the nursery. Soft, warm, fuzzy blankets the kids like to curl up in. 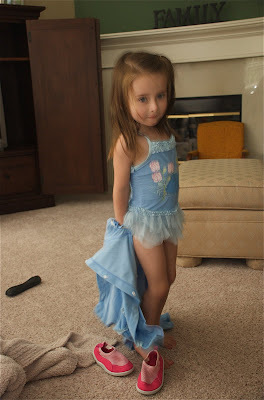 Towels from numerous baths after playing in the pool and sandbox. So I almost weep. Weep for longing for those children and their mamas and papas to be back here. For being glad they have their families and their own homes. For the love of family that surrounds us and helps sustain us. For the endless cycle of life that goes on in the generations. For how blessed we are. So I am a good mess. But a mess non-the-less. Oh but I do miss my babies. Friends of ours gave birth to their third child, a daughter, this past year. The did a lovely and heartfelt video of "the journey" that is not to be missed! We will help her celebrate at her "official" party on July 4th at her great-grandparent Drennons home. How many one year olds get to have a 40 minute fireworks display on their birthday? I wil have photos of the party sometime next week. But until then, Happy Birthday, little Mirai! We love you oodles and gobs! We are in Keller this week. We went to pick up 3 year old Ben who is spending the night with us. He came into the bathroom to brush his teeth and wash his hands after eating a cookie with VERY blue icing - needless to say, it was all over his face. I asked him, "Did you enjoy the cookie or did the cookie enjoy you?" Without missing a beat, he said, "I enjoyed the cookie then cookie went too-ta-loo!" Did I mention I have VERY smart grandchildren?? Anyway, for what it's worth, and for the love of all things summer and flip-flops, read this and "tread" with caution!